A breakthrough in the production of microspheres containing the radioactive isotope Holmium-166, used for patients with liver cancer, went hand in hand with the development of a TU Delft innovation: the ‘flexible irradiation facility’. In this new 'sample holder' Holmium-165 is cleverly converted into Holmium-166; the microspheres are irradiated to a high level of activity, without damaging the biodegradable envelope by gamma radiation. 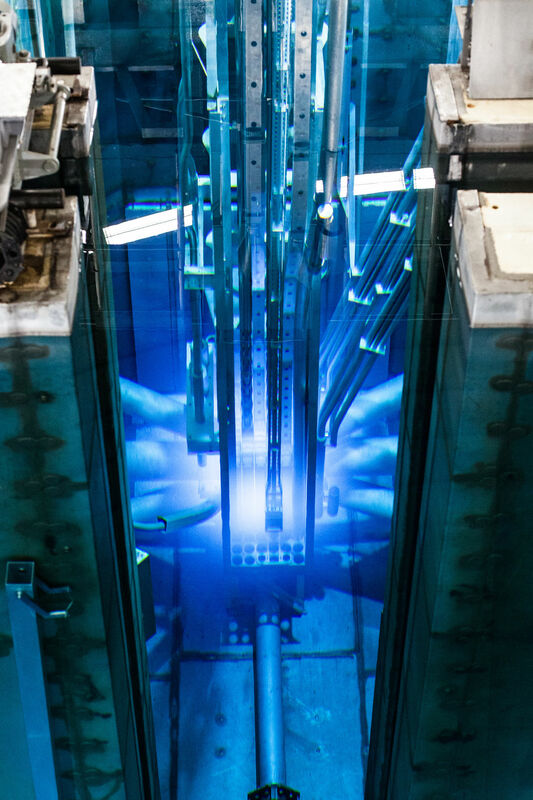 The principle of an adjustable irradiation chamber was developed for TU Delft’s research reactor but could be applied in any nuclear reactor. "This has brought the production of isotopes for medical applications closer to the patients," explains TU Delft researcher Dr Antonia Denkova, head of the research project. It is an exciting time for the Reactor Institute Delft (RID), a radiation knowledge centre and unique research facility. This small research reactor was built in the 1960s specifically to conduct scientific research in the field of sustainable energy, healthcare and education. Following years of preparation, the many measuring instruments attached to this reactor are currently being renewed and expanded. The neutron radiation produced by the reactor is in high demand. Just as a microscope uses light to visualise what the naked eye cannot see, the radiation produced by the research reactor is used to reveal the interior of all kinds of materials, down to the scale of a few atoms. Scientists from home and abroad visit the RID to conduct research on their own materials. The RID hopes to create new opportunities for such research with the OYSTER funding programme. OYSTER does not only concern the measuring instruments used with the reactor. 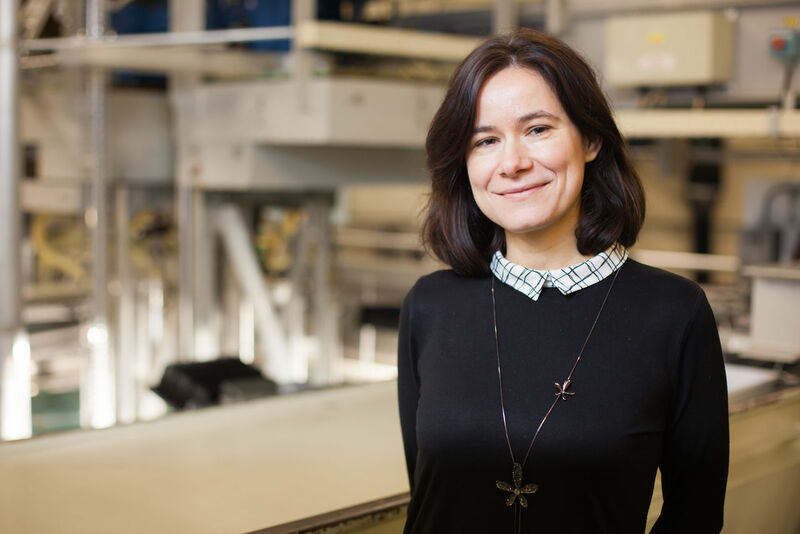 Dr Antonia Denkova, assistant professor with the Applied Radiation and Isotopes research group, is working on a new technical facility to make materials radioactive under controlled conditions. "The main reason we're doing this is to develop production routes for higher quality radioisotopes," she explains. The demand for isotopes for medical applications has been increasing for years, both in the Netherlands and the rest of the world. But what are these materials? By irradiating a stable material with neutrons, an unstable isotope is created which then ‘decays’ into another isotope. The radiation released during this decay is used for medical purposes. This can be for diagnosis (radioisotopes in the body emit radiation that can be observed by SPECT scanners, for example, and used for diagnoses in fields such as cardiology, oncology or urology), or for treatment (radioisotopes placed near a tumour emit radiation that destroys cancer cells but spares healthy cells). 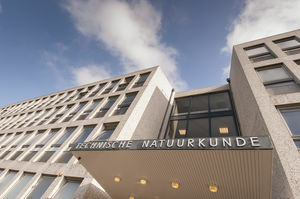 The National Institute for Public Health and the Environment (RIVM) recently calculated that around 400,000 diagnostic scans are performed annually in the Netherlands, while 4,000 therapeutic treatments with radioactive isotopes are performed in people with cancer or other serious conditions. Both kinds of medical application depend on sufficient radiation being produced when it is needed and the material not having decayed too much to be useful. "Imagine that a radioisotope is a battery and the reactor a charger," Denkova says, explaining the term, half-life. "The battery is charged when it is irradiated in the reactor, but afterwards it starts to discharge again." Whether a battery is 'too empty' to be used in a hospital depends on how much it has been charged and what the half-life is, with which it discharges. "The latter factor is a constant, but we can control the charging process - the irradiation of the radioisotope in the reactor." Molybdenum-99 is an example of a radioactive isotope that is produced in reactors such as the one at TU Delft. This ‘mother nuclide’ Molybdenum-99 is an unstable isotope with a half-life of 66 hours that decays into Technetium-99m, an important workhorse in nuclear medicine that is used worldwide for medical diagnosis using SPECT scans. When Technetium-99m decays, it emits gamma radiation with an energy that can be detected by SPECT scanners. Many other such radioisotopes exist, each with its own advantages and disadvantages. For example, some radioisotopes decay so quickly that it is a challenge to get the activated material from the nuclear reactor to the hospitalised patient in time. Holmium-166 is one example from this group of radioisotopes. In these cases, it is important that the isotope is produced nearby the hospital. Radioisotopes are produced for the Dutch commercial market in Petten. 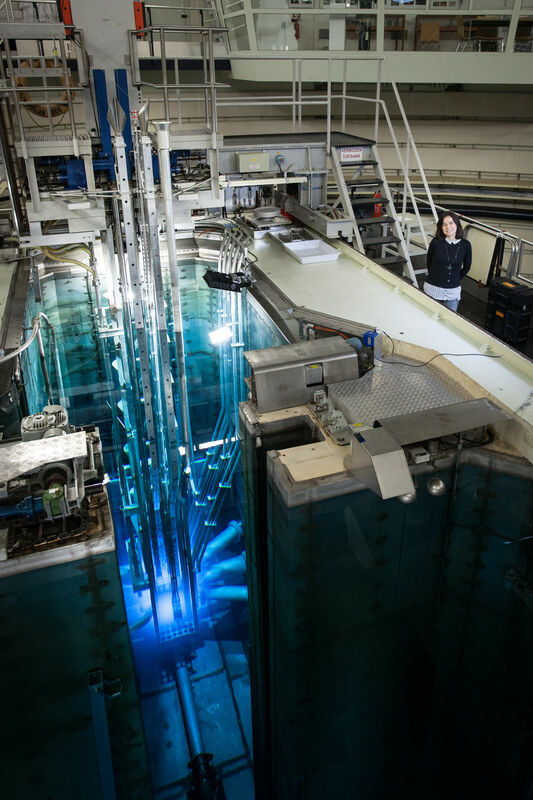 The RID is a research centre for the development of new radioisotopes and production methods and functions as a backup for the Petten reactor. In addition to diagnosis, radioisotopes can also be used to irradiate cancer cells inside the body from up close. This is called radioembolisation and is mainly used to treat patients with liver tumours. To be able to safely introduce the radioisotopes into the body, they are packed inside microscopic spheres of a tissue-friendly material, a kind of biodegradable plastic. The spheres have a diameter of 30 micrometres, about the thickness of a hair. To produce radioisotope ‘packages’, it is more practical to prepack the non-radioactive basic material and then irradiate the entire package (the microsphere and its contents) than the other way around. This does place high demands on the precision of the radiation dose; the reactor produces various types of radiation. The contents of the microsphere need to be irradiated as much as possible with only one type (neutron radiation), while the packaging is not very resistant to another type (gamma radiation). This is the challenge Denkova faces. "Until now, we produced radioisotopes by loading the microspheres with contents into an irradiation capsule, lowering that into the reactor, and then hoisting it all back up at the right time. We were looking for a way to determine with more precision how much of the required type of radiation to deliver to the contents of the capsule." With the help of funding from the Netherlands Organisation for Scientific Research (NWO), Denkova set to work together with two post-doctoral researchers, RID staff members and TU Delft’s Electronic and Mechanical Support Division (DEMO). ‘’Nuclear reactors do not only emit neutron radiation, but also other forms of radiation, such as gamma rays. This latter form of radiation causes the microspheres to get damaged too quickly during irradiation. We built a modular chamber that can be fitted with various types of shielding, depending on which type of radiation is required and, more importantly, which type must be blocked." The new chamber means the microspheres can be irradiated for longer time without them getting damaged . They also become more radioactive, so they have a longer useful life after irradiation. "The production and distribution of short-lived medical isotopes is a race against time," explains Denkova, "and we want get off to a good start." The new generation of microspheres containing the radioisotope Holmium-166 is the first success using the new method of precision irradiation in the reactor. Before this project, Denkova worked closely together with the brain behind the Holmium-166 microspheres, Dr Frank Nijsen (medical biologist) of Radboudumc in the Dutch city of Nijmegen. "This cooperation enables us to push the boundaries and help patients profit from more effective radiation treatment," says Nijssen. Over the past two decades, Nijsen and his Holmium Translational Research Group have been able to apply the idea of the microspheres through laboratory and animal experimental research in patients. The microspheres were then approved for use in European hospitals. Nijsen recently transferred from UMC Utrecht to the Radboudumc in order to be able to take the next steps in his research into, among other things, new applications of the microspheres in liver, brain, head and neck tumors and pancreatic tumors. The irradiation facility developed over the past months has been named the Flexible Radiation Facility (the Dutch acronym is FlexBeFa). To put it somewhat irreverently, it is a box measuring 20 x 40 x 40 centimetres. The research team reduced the harmful gamma dose that the microspheres receive during irradiation by a factor of 5. There are plans to fit cooling possibilities to provide the sensitive microspheres with even better protection against the temperature increases caused by the radiation. Such technical adjustments are not easy, because the extremely heavy facility has to be hoisted in and out of a reactor. "Safety goes before everything else," Denkova agrees. The design of the FlexBeFa provides researchers with plenty of flexibility for the targeted irradiation of materials for all kinds of applications. In the future, the concept of the chamber with adjustable radiation shielding could also be used for other nuclear reactors where radioisotopes are produced. "There are 246 operational nuclear reactors in the world, but only six produce radioisotopes on a commercial basis. The principle of the FlexBeFa could be applied anywhere and so help to create a larger network of producers, closer to the patients who specifically require short-lived isotopes." In addition, the FlexBeFa makes it possible to conduct systematic research into new radioisotope production methods. Denkova: "The popular Molybdenum-99 is currently produced by irradiating plates of Uranium-235, then dissolving them and finally removing the molybdenum from the solution and purifying it. We are trying to find an alternative that requires less highly enriched uranium and produces less radioactive waste." The research was funded by NWO-TTW. Rijksinstituut voor Volksgezondheid en Milieu (RIVM), Productie en gebruik van medische radio-isotopen in Nederland - Huidige situatie en toekomstverkenning. RIVM Rapport 2017-0063.